It's not just interesting birds on Dee. There are other flying beasts here too. Plenty of butterflies and (my personal favourites) dragonflies can be found here too. There is also a big selection of moths, so often overlooked and definitely underrated as a wildlife watching activity. I've just built a "Skinner" type moth trap so I can find out a bit more about them. The electrics were bought online and the box was constructed at no cost from bits of plywood and plastic lying round the workshop at work. 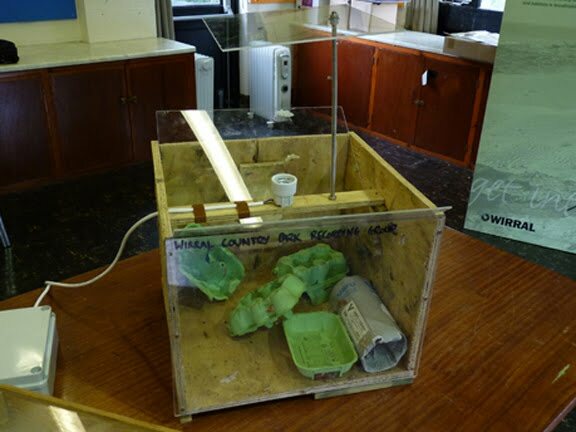 It was filled with old egg cartons and the cardboard cover from the huge mercury vapour bulb that sits shining on the trap top. 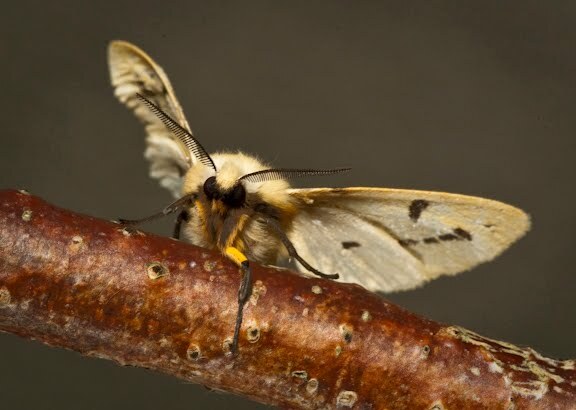 This gives the moths something to rest on while in the trap. 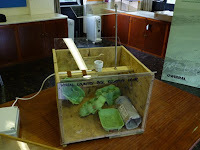 Perspex baffles prevent the moths escaping once they have been attracted to the bulb and fallen into the box. A timer is set, 9pm on, 4.30am off. It is as easy as that! In the morning it is a case of identification, listing and then photographing the most interesting individuals. To do this properly you need to be in control of the situation and this was the perfect excuse to build a temporary studio! In the picture is my dad with a Canon EOS 1D Mk 3 with a 180mm macro lens on the front. It's on top of a Manfrotto tripod with a pan and tilt head. Connected to the camera is a 580 speedlight flashgun with a diffuser. 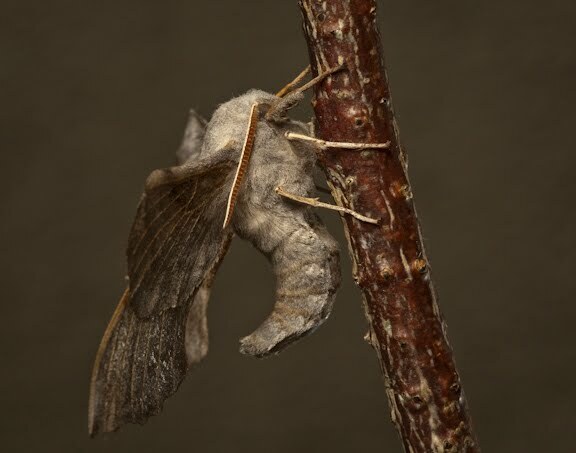 A twig for the moths to perch on was held in a Wimberley Plamp to allow it to be moved around so the camera could remain in it's fixed position. A mirror was placed underneath the perch to reflect the flash. Once this had been set up the moth was placed on the perch and the photography could start. Also shot were Flame Shoulder, Shuttle-shaped Dart, Dark Arches, Angleshades, Barred Red and Yellow Tail. I'll post more in due course. 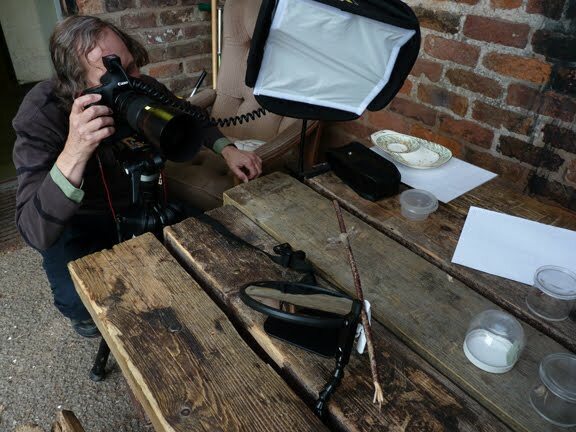 The moths were released back into the hedgerows from which they were trapped, the studio dismantled and the images uploaded to the computer. Check this out for more images from my old man. 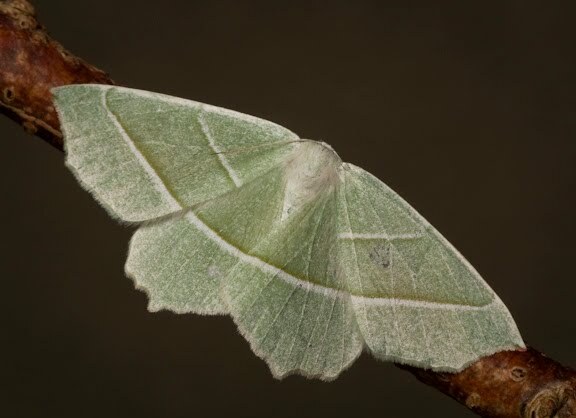 Moth trapping is fab, the trap will be lit up again as soon as possible!